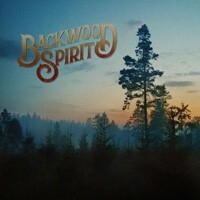 BACKWOOD SPIRIT is a Classic Rock band from Sweden founded in the year 2014 by guitarist/songwriter Kent Engström. A true sample of the roots that created and shaped the influences and musical personality of this seasoned musicians who are far from being debutants themselves, A comforting throwback approach to some simpler times when people didn’t call each other poser or fake or pleb or any of all the pointless barriers created by all the postmodern musical society of today. A record to acknowledge and cherish as the delightful and refreshing reminder of the period that inspired millions across the world to stand against conformity and what the establishment tells you to do, a collage of the forces that sprouted revolution, evolution and the very fibers of what belonging to an ensemble of elements with similar tastes and targets really felt like. Eight songs that render the listener to an immediate reference to LYNYRD SKYNYRD, MOUNTAIN, and THE ALLMAN BROTHERS, The eight songs on this record are perfectly suitable for unwinding and most of all are the example of another genre finding a youth elixir almost 60 years after its heyday as the seed of change and the birth of the invincible force that came from blues to form Rock and Roll as we know it. I Guess you Metal Maniacs know what happened next; no? BLACK SABBATH, remember? Easy listening that turns a little difficult for moments, lacking contrast and a little punch that would make the similarity in songs less noticeable, but if that was the objective of the band since the beginning and the whole essence and spirit of their drive to return to the roots, after storming the fastest and most complicated forms of music prior to becoming BACKWOD SPIRIT then I have to say the goal was obtained. Uplifting and relaxing for those that like relaxing and the feeling of being transported to those less complicated times a true example of genres living on and surprising those of us that take our present for granted without remembering the past that made it possible, serving its purpose and obtaining an outlet for the musical creativity while still remaining faithful to the quintessence and energy of good ol’ vintage "Raunch and Roll."